Those of you who were hoping to use Poke Transporter to move old Pokemon to X and Y tomorrow will have to wait a little longer. Who would have thought that many children would be opening a Wii U on Christmas day, subsequently hammering Nintendo's servers when they connect to the internet to update? Apparently, not the Big N itself, as it has now officially announced that the Pokemon Bank and Poke Transporter apps, previously scheduled for US release on 27 December, have been officially delayed due to the strain on its network. The delay at this point is indefinite, as Nintendo did not offer an alternative release date. "Nintendo and The Pokemon Company International have postponed the launch of Pokemon Bank and Poke Transporter - two software applications that were originally scheduled to launch for Nintendo 3DS on Dec. 27 - due to a large volume of traffic to the Nintendo Network service. Due to the high traffic, players are having trouble setting up Nintendo Network IDs and downloading content in the Nintendo eShop on both Wii U and Nintendo 3DS. We truly regret the inconvenience, and wish to reassure everyone that providing a solution is our top priority. We apologize for the delay and thank you for your continued patience." 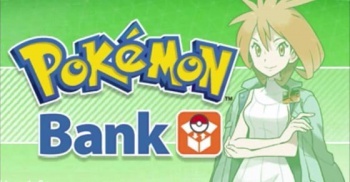 The Pokemon Bank, an app which allows you to store Pokemon in online cloud storage, and the Poke Transporter, its companion app which allows transfer of Pokemon from Black/White and Black 2/White 2 to X and Y, were released in Japan on Christmas day, but have subsequently been pulled from the Japanese Nintendo eShop. The Nintendo Network is still experiencing some technical difficulties, most likely due to the high influx of new accounts created on Christmas, as well as the large proportion of Pokemon fans clamoring to access the Pokemon Bank and Poke Transporter. The apps require a yearly subscription fee of $5, but there is a 30-day free trial period that will start as soon as they goes live.